For the last 8 years, parents in Caledonia, WI have been pursuing their own school district. BUT WE ARE FIGHTING OUR VILLAGE BOARD TO DO WHAT THE COMMUNITY HAS ASKED. Caledonia is currently held to a unified district that does not meet our needs. The district is rated second worst in Wisconsin, and it reflects badly on our home market, inhibiting the growth of our village. After thousands of families have moved out of our village, or open enrolled to surrounding communities, we’ve had enough. Our first effort failed because the current district vetoed our efforts. Now, we are seeking a change in state law to place that decision with our citizens alone. December 12, 2014, state legislators said they would like to see a referendum and study done to show the financial feasibility of such a split. Before spending $30,000 on such a study, the village board wanted a survey of residents, placing a referendum on the April 7th ballot. It passed in Caledonia and a nearby community seeking the same change. Yet, today, months after the vote, the village board has yet to act. On July 6, 2015 they rejected paying for the needed study and the issue died. The aforementioned trustee reversed herself and voted “no” as well. We are a collection of residents who care about our children and the future of our village who are now looking to raise it ourselves! We need YOUR HELP! 2,500 of us voted for the new school district. If 2,500 donated just $12, we’d have all we need. Please help us today with $12, $20 or $50. All donations are anonymous, unless otherwise requested. THANK YOU FOR HELPING US CHANGE THE COURSE OF OUR VILLAGE FOR THE BETTER! 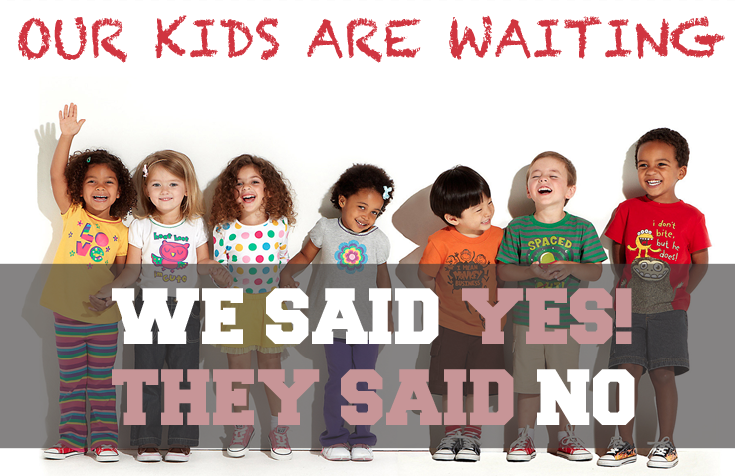 Our kids have waited long enough.